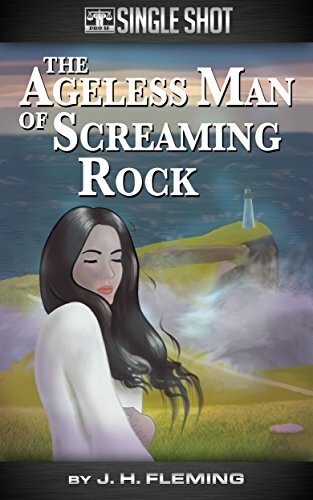 Fantasy Author J. H. Fleming brings her unique storytelling style to Pro Se Single Shots with the stand alone short story THE AGELESS MAN OF SCREAMING ROCK. Eliott is a bard seeking material for his next song. When he hears of the Ageless Man of Screaming Rock, he knows he's found exactly what he needs to write his next hit. But the Ageless Man's Tale is a dark one, beginning several centuries before with four sisters, all gifted in various types of magic. What Eliott gets is a story of love, magic, and betrayal of the darkest kind. Find out that story in THE AGELESS MAN OF SCREAMING ROCK by J. H. Fleming. From Pro Se Productions. Fleming’s first single shot is also available for most digital formats on Smashwords at https://www.smashwords.com/books/view/699710. THE CANINE SLEUTH RETURNS- ‘MURDER AT THE RIVERBOAT PUB: A JOAN THE DOG DETECTIVE STORY’ DEBUTS FOR 99 CENTS!